In September last year, B started school and a week later, I went back to working full-time. At the end of a busy week of school runs and learning to read, the weekend is very much welcomed for us both! It’s refreshing to spend time together that doesn’t involve a battle to get dressed or teeth brushed. Those precious weekend days can be as slow, fast, adventurous or as lazy as you like. However, it’s also my time to catch up on things that I haven’t had a chance to do during the rest of the week. Think washing school uniform, tidying up or other boring errands. I’m a bit of a stickler for housework these days, it’s true. That’s something my teenage-self would laugh at while tripping over my floordrobe. Even when I started living with my husband at age twenty-two, we’d let our flat slip into disarray all too often. Pregnancy completely changed me though and I’ve never grown out of that cursed nesting phase! Last Saturday was a horrible, dark, rainy day so we didn’t get much further than Costa. Luckily, it’s one of B’s favourite past times though. 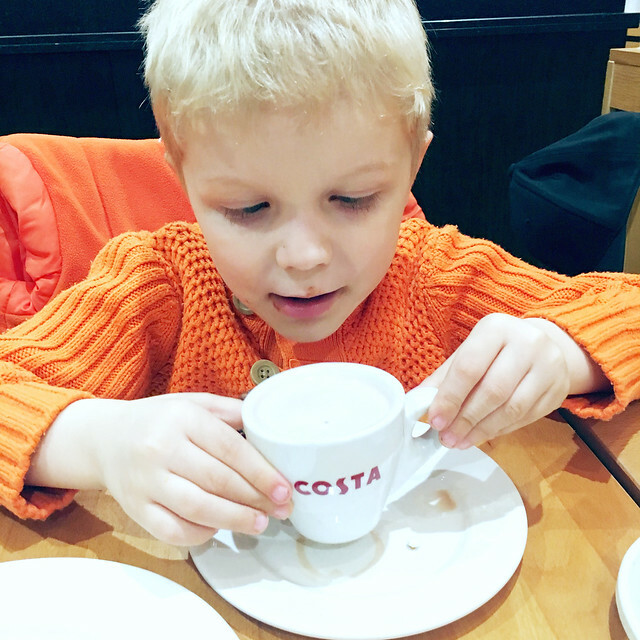 We had cheese toasties, hot drinks and sweet treats and caught up on his week at school. We chatted a lot about ‘Home Alone’ and recited all of the things Kevin does to the ‘baddies’. There were cuddles on the sofa and snuggles under the blanket when we got home. He hasn’t quite managed to shrug off Christmas, so we watched festive favourite ‘Home Alone 2’ too. And then, before bedtime he told me, “You’re the best Mummy I’ve ever had. I love you all the way to Jupiter.” It doesn’t get much better than that, does it? So, it doesn’t always have to be wild, adventurous days. 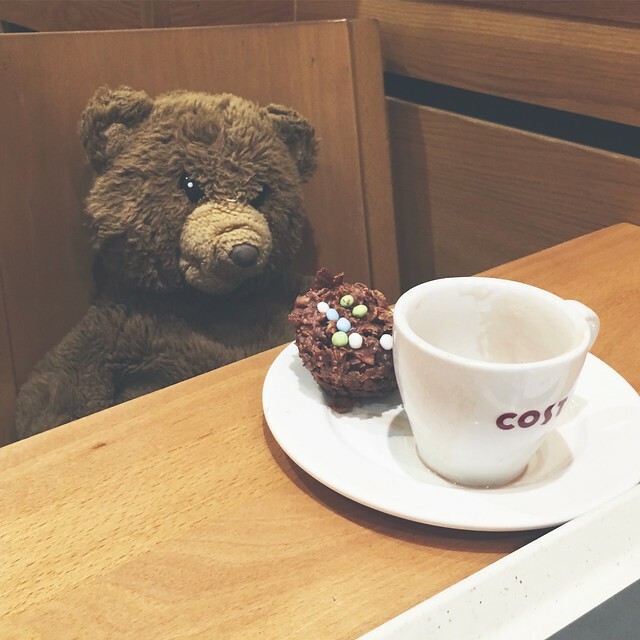 Sometimes a coffee with your son and his best teddy, is the key to being the best mum in the world. This post was inspired by Louise Pentland’s Mummy Dates Project 2017. If you’re a mumma, you should join in too!